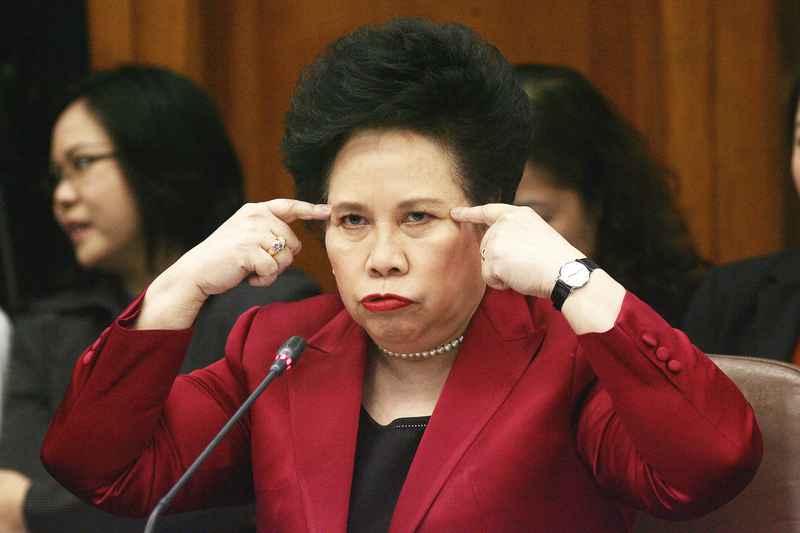 This was what presidential candidate Senator Miriam Defensor-Santiago said when she addressed the issue of the Enhanced Defense Cooperation Agreement (EDCA) during the first leg of the 3-part presidential debates last weekend. The EDCA, as stated in the government’s website, refers to “an agreement between the Philippines and the United States which is envisioned to advance the implementation of the Philippine-U.S. Mutual Defense Treaty.” It does not provide for the permanent basing of troops or the construction of U.S. military installations in the country, but allows the use of “Agreed Locations” for joint training and other activities “approved” by the Philippines. The looming China threat on the West Philippine Sea (a.k.a. the South China Sea) is not only a national issue but a regional one as well. China encroaching on territorial waters and pushing its weight to amass several islands in the said area calls to mind a new era of geopolitics that is now shifting to Asia. Whether the EDCA is indeed a necessity or not, especially with the VFA still in place, remains debatable. On the one hand is the country’s need to defend its territories and sovereign rights against Chinese encroachment, on the other is the possibility of losing national sovereignty through the EDCA. A lot of people argue that military cooperation with the U.S. is beneficial because of the Philippine military’s lack of resources. Others maintain that the Philippines should now be independent of the U.S. and, as another senator (Grace Poe) mentioned during the debates, even take a leadership role among the ASEAN nations with regard to the territorial disputes in the West Philippine Sea. Should the Philippines continue to depend on its erstwhile colonizer for the defense of its territorial waters? Or should the Philippines take a more independent stand and try to deal with the issue through negotiations with China? Will the EDCA take away Philippine sovereignty? Is the issue here really a U.S.-China one, with both superpowers trying to “take control” of the West Philippine Sea (South China Sea), as Senator Defensor-Santiago said? Admittedly, it seems that there are more questions than answers at the moment. It cannot be denied, however, that the perceived need for the EDCA or any other military treaty with the U.S. was brought about by the threat of China claiming islands in the contested waters, parts of which are under Philippine jurisdiction. Such perceived need paints a picture of how a loyal ally continues to rely on the U.S. for protection against external threats. It also tells a lot about the country’s continuing love-affair with Hollywood and how China and the Chinese have been regarded throughout history – as an economic threat and an “Other,” and now as a military threat and the “Other” that needs to be contained. But does Uncle Sam look at Juan Dela Cruz as an equal, or does he still think Juan needs continued tutoring on self-governance in matters such as these? Another concern is whether the Philippine state is really acting on the people’s interest or on the interest of only a few, namely the elites (or as some would say, “imperial Manila”). For instance, the EDCA stipulates the use of “Agreed Locations” in the Philippines for joint military training. These “Agreed Locations” are not in any way concretely described, raising questions on whether or not these joint military activities will affect local populations living in or near these “Agreed Locations” (assuming that these locations are also land-based). While many may think that the U.S. is only exercising its duty to protect the world from wars and further conflict, and that it is acting on the basis of humanitarian interest, it should be noted that the U.S. deployment of military troops overseas has not decreased. The ratification of the EDCA will no doubt bring in more troops to the country. As it stands, problems relating to the VFA have not been resolved; will having the EDCA resolve them? If the Philippines – now the fastest-growing ASEAN nation – wishes to be amongst the leading countries of the ASEAN, it should be willing to stand on its own. While improving military facilities, weapons, and the training of troops is a definite need, military engagement is not the sole answer to the current dispute. Peaceful negotiations and the furthering of economic ties with China, a major trading partner of our ancestors, should be at the top of the government’s agenda.